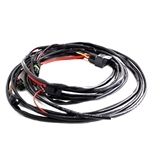 This universal 12v wiring harness is capable of powering up to 12 amps and has been specifically designed for the Baja Designs OnX6 and Squadron XL. This harness DOES NOT have an option for a momentary switch. It includes an On/Off toggle button to provide power to the lights. This harness comes ready to power up to two (2) Baja Designs LED lights listed above. Baja Designs Ford/Toyota, F-150, Tundra, Tacoma Fog Light Kit for Squadron LED's This harness can be installed on almost any vehicle and will power Baja Designs Squadron or S2 LED lights. The Ford Super Duty 99-16 Fog Pocket Kit allows you to mount 2 Squadron Series auxiliary lights in the factory location. 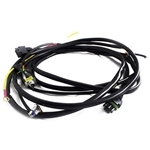 This Plug and Play kit includes two vehicle specific mounting brackets and a wiring adapter, allowing you to use your factory switch and mounting hardware. 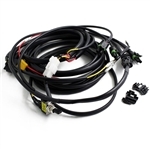 Make wiring easy with this high quality plug and pay harness. Designed specifically for the S8 and IR lighting. Complete harness for Baja Designs Stealth and OnX LED Light Bars. This harness takes all the guess work out of installation and is incredibly high quality suited for race use! This Baja Designs 30" OnX6 or 30" S8 LED Light Bar mount kit allows for easy installation between the tow hooks of any 03-16 Ram 2500/3500. These mounts require absolutely no cutting or modification to mount to your truck. These brackets are CNC Laser cut and are powdercoated Satin Black. 100% Made in the USA. 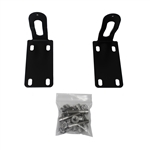 Includes: - Left and Right Powdercoated Brackets - Replacement Hardware This Fog Pocket Kit fits Dodge Ram 2500/3500 2010-16 and allows you to mount 4 Baja Designs Squadrons in the factory location. 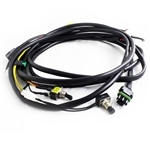 This Plug and Play kit includes two vehicle specific mounting brackets and a wiring adapter, allowing you to use your factory switch and mounting hardware. These mounts require absolutely no cutting or modification to mount to your Raptor or F-150.